Whether you’re looking for interior or exterior painting in Morris County NJ, PROTECH Home Improvements has you covered. You don’t want to hire just anyone when it comes to house painting, since you want a job that will look natural and last for years to come. This is why you want to hire the experienced team you’ll find at PROTECH Home Improvements. While you may be tempted to do house painting work on your own, it pays to have a professional team handle the job for you. It’s very easy to find that you’re overwhelmed at the extent of the job. Those that try to do it themselves to save money can quickly find that they failed to factor in all the materials they require in addition to paint. Save yourself the time and hassle, and call the experts at PROTECH Home Improvements for a job well done. When you’re looking for a top exterior or interior painter in Morris County NJ, you need someone that will take the time to give you the attention you deserve. Available for every step of the process, from planning and color choices to cleaning up spotlessly after the job is done, PROTECH provides everything you need to change worn-down interiors and exteriors into spaces that once again feel clean and appealing. PROTECH paints for every type of homeowner. We’ve completed a significant number of both interior and exterior projects, and we acknowledge that a quality job at a fair and affordable price matters most. We have keen sense for keeping up with the latest trends and do our best to foresee what is coming. Our customers come first, and we are committed to help them through the entire painting process with a professional and attentive attitude. 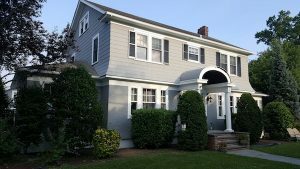 If you’re interested in interior or exterior house painting in Morris County NJ, don’t hesitate to contact us to find out more about what we’re capable of offering. Ready for a fresh new look? Contact PROTECH Home Improvements for Interior and Exterior Painting!